(1854-1931). American composer. He studied at the Leipzig Conservatory and in Munich with Rheinberger, returning to his native Massachusettes as an organist. 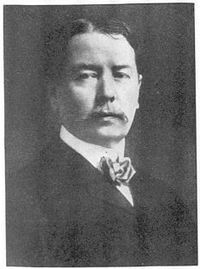 Chadwick took on teaching duties in composition at the New England Conservatory in 1882, and became a leading figure among the circle of composer known as 'the Boston Classicists'. He is best known for his 3 Symphonies, and his Symphonic Sketches, of which the 'Jubilee' section is most frequently played on its own.